It’s been over a decade now. A decade of wondering and hoping and praying that God will heal my body and allow it to conceive, carry, and deliver a child. I believe, with everything I am, that God is big enough to give me a baby. But does that mean He will? And right here, with this question, I wrestle. I want to have faith, I pray for faith, but I’m also this practical what-you-see-is-what-you-get kind of person. I know what God can do, but I can’t read His mind and know what He will do. I know better than to try and manipulate Him, or believe that my infertility means He’s not pleased with me. But I do talk with Him a lot, asking for some sign one way or another. Some way to know if I should keep hoping and believing that He will bring healing, or just have a settled understanding that this is it and all the children I will ever have are already home. God hasn’t said much on the subject of the babies I dream about. The conversations are mostly one-sided. So the ache has just simmered inside me. This hope that blazes and dies according to cycles and dreams and every change in my body or environment. Turns out He has some things to say about hope. I read Psalm 119 to the family one Sunday and was lambasted with the word. The writer says over and over, “You have given me hope” and “I put my hope in Your word” and “I hope for Your salvation”. This hope? Oh, my no. I’m not afraid to hope in the Word, in the salvation He’s offered me. He didn’t answer the question right away. But in the next week I came to the story. Right in the book of Acts, there is this story about Paul and Silas. They are in Philippi, and they were beaten and imprisoned. They spent the night praising God and a miraculous earthquake rolls through and their chains fall off. They were in jail, but then they were free, and the jailer is led to the Lord and God is moving and shaking the city—calling men and women to Himself. A church is formed and even after Paul leaves, the work continues. And years later Paul writes them a letter. We still have it, nestled in our New Testament. Philippians. Guess where he’s writing from? Oh, yeah. The guy who was miraculously saved from prison before, is sitting in prison now. Paul knew, from experience, that God was big enough to save him from prison, but he didn’t know if God would. And yet, what does he say? Rejoice in the Lord always, and again I say it, rejoice. From prison. From living without God miraculously moving to free you. We know that Paul spent most of the rest of his life in prison, but we also know that he wrote most of our New Testament from there. God was doing big and excellent work in Paul and through Paul—even though it didn’t look like the freedom we would all naturally desire. God is big enough to do any of the miraculous things we long for, but He’s also big enough to walk with us through dark and loss and hardship. And as Paul explained, there is joy available. There is refreshment and hope and life to be found—even in the hard—because God is that big and that good. I’m learning, friends. So slowly, but so steadily. I’m learning how to put my hope in the place it belongs, to trust my future to the God who is good. It’s easy for all of us to get distracted with the wrong questions. The God, will I ever? questions. The God, will You ever? questions. The questions that leave us feeling hopeless and tired. Instead, may the questions change in our hearts. May we learn to rejoice in our present circumstances because we know that He is able to shake the foundations of the earth and free us—and if He is not doing so, it is for the furthering of the Kingdom. I don’t know if God will ever give me a baby, but I do know that He is enough and I can live in hope and joy with or without, because He is that big and that good. If you’re waiting for a baby, or a job, or a marriage, or freedom from illness or loss or sorrow—may your heart learn to put hope in the things that fill you and strengthen you. Things like the Word and the salvation that God has, so graciously, given us. Thank you for sharing this with us! I’m struggling to understand how my infertility can be for the furthering of the gospel… any further thoughts? I understand the struggle at a deep level. 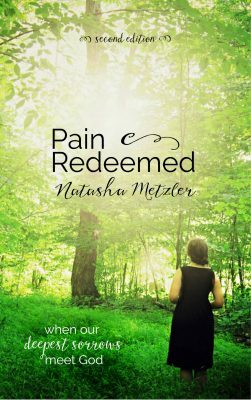 ❤️ I don’t feel like there is anything that “fixes” the pain of this type of thing (much like nothing “fixed” the years Paul spent in chains) but I do believe that God does good work through the sorrow– filled parts of life. 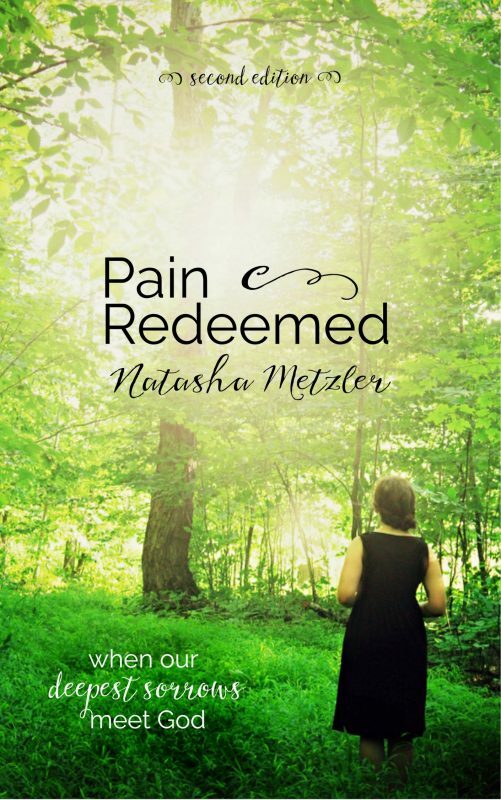 Part of my goal when I started this blog was to share about the ways God brings redemption to pain, and specifically, in my life, how He has redeemed my infertility. He has been good, but it’s been hard. That said, I have seen Him work. Our adopted children wouldn’t be here without the pain (that’s a whole miraculous story in itself! ), and there have been many glimpses of how God has worked through our story to allow us to share the gospel. There is nothing simple or easy about it though. I do, however, believe that God hears when we ask Him to reveal Himself, and in fact, that is what He especially longs to do! So I encourage you to pray. To ask God to show Himself and His work in your life. I truly believe He will be faithful to do exactly that. Absolutely. This is what Paul was talking about when he said, I have learned to be content with plenty and when in want. He learned to rejoice with or without, and he found that God was good in both places. I know the ache well! I know the desperate prayers for answers, for a word or a sign to give me hope or to tell me to let go of my dreams. Thank you for the reminder to hope in the Word & the things God HAS promised me instead of being discouraged. Psalm 13 has been with me all week. I hope it will encourage you as it has me. May we also go from saying “How long O, Lord? Will you forget me forever?” (v1) to “I have trusted in your steadfast love; my heart shall rejoice in your salvation” (v5) when we cry out to the Lord. Oh, Miriam, thank you so much for this encouragement. Psalm 13 will be the place I turn to today. ❤️ Praying that the Lord is so, so near you as you journey through this hard, my friend.